There have not been many book reviews on this blog lately. Time for a few quick reviews before December. I have decided to use the month of December as my own personal advent calendar. Every year, since my children were babies, we have opened the doors of an advent calendar. This year my girls will have the kind of calendar that they prefer – the kind with a piece of chocolate behind the door. What a great way to start the day! So before December 1st arrives, I will post these four little reviews. This book is the fifth in the series about Scottish philosopher and sleuth, Isabel Dalhousie. This would not be my favorite in the series, but if nothing else, I would recommend it to you for the beauty of its protagonist’s determination to treat others without judgment and the little peeks we are allowed into her soul. I certainly recommend the first four in this series. Isable is another strong woman, by the author of The Number One Ladies Detective Agency. That series stars Precious Ramotswe, Botswana’s premier sleuth. 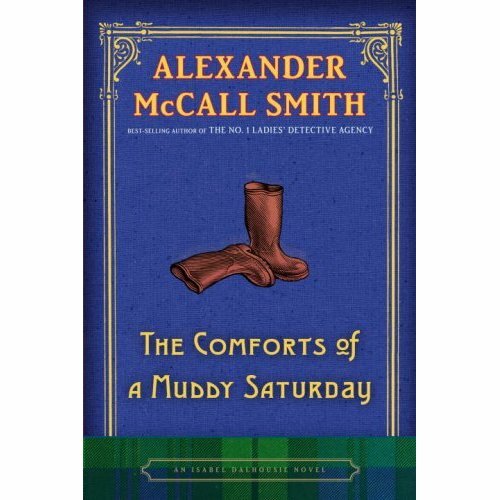 If you have not read Smith, you are in for a huge treat with any of his books. In 2000, Mo Hayder entered the crime fiction scene, introducing detective Jack Caffery in the compelling and controversial novel, Birdman. Jack returned in 2001 in The Treatment. With a few (shocking) books in between, Jack is back in Ritual. 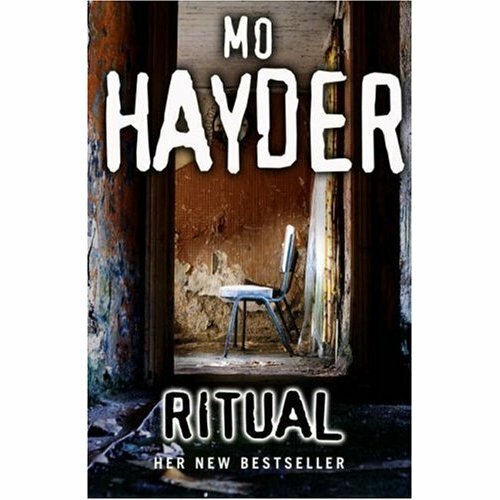 Hayder is known for exploring the deepest, darkest, recesses of the human mind, and this book definitely does that. It is also a social commentary on its times – everyone in this story has one form of trouble or another – and they are all real concerns. The sad lives of drug addicts, the pressures of the underworld, vendetta killing, lives of displaced Africans living in the UK, and male prostitution. 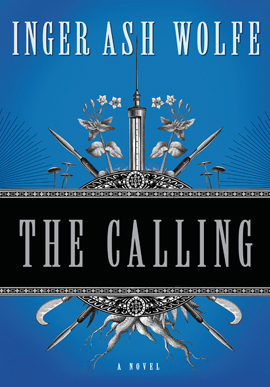 Caffery is a character that is painfully real, and the reader comes to care about his bruised and bleeding psyche. This is a powerful novel that is difficult to put down. This mystery features a very unusual police officer: 61-year-old Detective Inspector Hazel Micallef of Rural Port Dundas, Ontario. A murderer is traveling across the county, apparently making appointments for “mercy” killings. Gradually Micallef sees a pattern emerging. She is small town police officer, however, and has no support from her superiors. On her own, she puts together a team and an investigative network, gathering details about the ‘agent of death’ who, almost magically, evades authorities. Micallef also has to deal with debilitating back pain that may soon require surgery, and for which she medicates herself. To further complicate her life, her eighty-something mother organizes the diet of her daughter with strict, iron control, and Micallef continues to mourn the demise of her forty year marriage. Micallef is a complicated character; near the end accused of “pride masquerading as justice.” The tension builds, until everything comes together in perfect symmetry in the end. Sense of place is strongly evoked, the diverse cast of characters are interesting, and the murderer is one of the strangest antagonists I have ever come across. Wolfe is a pseudynom for a “well known North American writer of literary fiction.” I hope this is not the only book she writes about Micallef. This is the 18th book in the series of Minneapolis detective for the Minnesota Bureau of Criminal Apprehension, Lucas Davenport. John Sandford is an incredible writer. He has also written a series about Kidd, who is a pretty good painter, a serious tarot reader, and a genius with computers. There are two books starring Virgil Flowers, who is an agent brought into the Minnesota Bureau of Criminal Apprehension by Lucas Davenport, and there are five other miscellaneous novels. 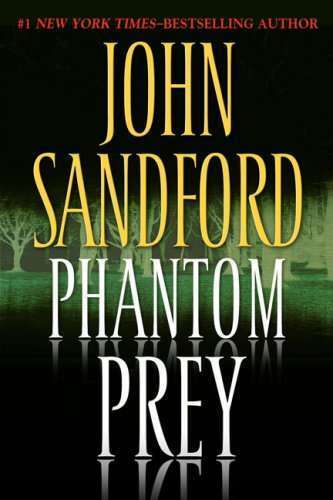 I have read them all, and definitely recommend any and all to you, but I am especially fond of the Prey series. Be sure to start at the beginning of the list. You will learn that Davenport is very rich from the computer games he invented and sold, he drives a Porsche to work, and the women he attracts are of a certain, very fine and intelligent, quality. He is also single-minded in his pursuit of justice. It is hard to keep up a series of this length and maintain staying power, along with realistic growth and change of a character. Sandford does this magnificently. Excellent authors. One brand new, the other three with many good books to offer. Enjoy! And on Monday, the first day for the advent calendar. Don’t forget to open a door every day. It was wonderful reading about an older woman, and the fact that she had back problems I could totally identify with. I like stories that take place in winter so that really grabbed me too, as well as Canada as place. I hope there are more books to follow this one. I am looking forward to the Advent Calendar. I love this holiday, and celebrating all month is so much fun. I have my holiday books, movies, and music stacked up, ready to go on the first! Thanks for visiting, Jeanie. Those book covers are nice, visual. Funny how the importance of the cover has shifted over time. So glad to have these reviews. And so tickled to hear your comments on advent calendars, too! We just so happened to buy the “chocolate’ ones this year, as well. Everyone went home from thanksgiving dinner with one. And it’s snowing here in St. Louis! We got a couple inches of nice, fluffy stuff last night. It is still pretty.